Yoga is a self development program anyone can use to help them live their best possible life. 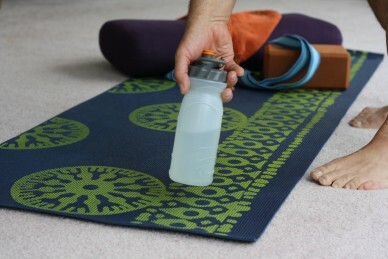 Yoga is a tool – in fact it’s a tool kit. It can be used in many different ways, with many different objectives – even objectives contrary to a best possible life. In my vision of best possible life, everyone around me lives their best possible life. So I want to share yoga, and the objective of attaining your best possible life and helping others do the same, with everyone I touch. But it’s not that simple. Yoga, through yogic teachings and practices, helps people bring body, mind and spirit into alignment. When body, mind and spirit are aligned, pointing and pulling in the same direction, we are doing our best and living our best possible life. “Yoga” is a Sanskrit word linked to the English word “yoke.” We use a yoke of wood and leather to keep oxen and similar animals aligned when pulling our wagons. Oftentimes my life has been a hectic scramble, with my wagon pulled in many different directions. I see others often in the same situation. I want to share yoga as a tool to help us get and keep everything pointed in the same direction. Then we can enjoy living the best life possible. But it’s not that simple. Sanskrit, like Latin, is a dead language. Long ago it was the common language of the people living in the area we now call India. In Sanskrit, yoga means “union.” It seems reasonable to conclude that the referenced “union” is the union of body, mind and spirit, joined together under this yogic yoke, aligned and pulling in the same direction. However, like Sanskrit, yoga is thousands of years old. Over time, and even now, yoga was and is many things to many people. One of the oldest references is the union of all things as one thing. In this context, the ultimate purpose of yogic teachings and practices is to help us develop and apply the capacity for fully understanding what this means. I would like a fuller understanding, as I believe many would. So, I want to share yoga with everyone I touch. But it’s not that simple. People leaving yoga classes will tell you that they always feel better after class than they did before. People in the health and wellness professions will tell you that yoga is good for you. My experience with yoga so far tells me these things are true. In fact yoga even feels good while you are in class. So, I want to share yoga because it feels good, it helps you feel better, and it is good for you. It’s that simple. Previous postWhy the name: Whole City Yoga?